Baltimore Ravens wide receiver Steve Smith faced off against his old team in Week 4 and torched the field for 139 yards and two scores off seven catches. Check out the other nominees below. Buccaneers get epic victory: The Tampa Bay Buccaneers, who twice found themselves down a touchdown in the second half, scored 10 fourth-quarter points to rally past the Pittsburgh Steelers, 27-24. 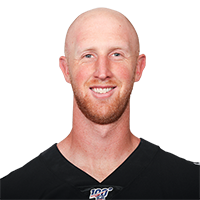 In the game's final frantic moments, quarterback Mike Glennon connected with Vincent Jackson, who made a diving 5-yard touchdown reception with seven seconds remaining in regulation to complete a dramatic 27-24 win for Tampa Bay. Smith shines against former team in Ravens win: Ravens receiver Steve Smith accounted for seven catches, 139 yards and two touchdowns in the Baltimore Ravens' 38-10 win over the Carolina Panthers. After spending 13 seasons with Carolina, Smith was released during the offseason. Smith's first touchdown came on a pass that was deflected off teammate Owen Daniels. Smith has 429 receiving yards this season, the most ever by a 35-plus year-old player through the first four games of a season. 49ers overcome deficit, then hold off Eagles: The Philadelphia Eagles dealt the San Francisco 49ers an 11-point deficit, but the 49ers rallied to prevail 26-21 after holding off the Eagles' late-game attempts to snag victory. In the win, the 49ers shutout the team that entered Week 4 having scored the most points in the fourth quarter. 49ers quarterback Colin Kaepernick threw two touchdown passes, including a career-long 55-yarder for running back Frank Gore and a tiptoe touchdown reception for receiver Steve Johnson.